Ira Tiffen has been working with glass for over forty years, developing specialized optics for film and television production, and still photography. His efforts have earned him a Technical Achievement Award from the Academy of Motion Picture Arts and Sciences, as well as a Prime-Time Emmy Award, from the National Academy of Television Arts and Sciences. 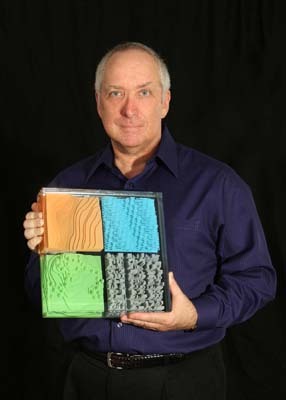 A creative innovator, Ira holds several patents on photographic accessory designs; he is also author of the filter section of the American Cinematographer Manual. He is an associate member of the American Society of Cinematographers (ASC) and an elected Fellow of the Society of Motion Picture and Television Engineers (SMPTE). While retaining his interest in the imaging world, Ira is now employing his unique capabilities in pursuing his long-held passion for creating art glass. More than 30 years creating optical solutions for the photographic, broadcast television and motion picture imaging markets.